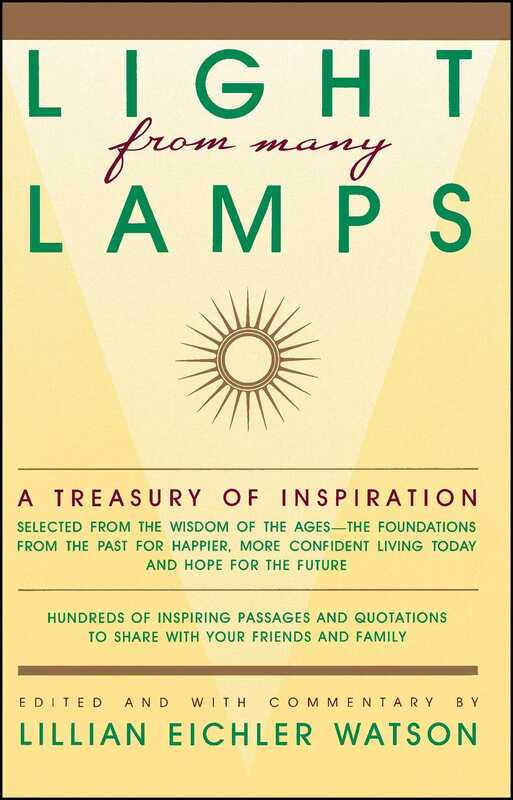 A classic treasury of inspiration featuring hundreds of passages and quotations—selected from the wisdom of the ages—offering invaluable insight and guidance on the challenges of daily life. Here are not only the best of the world’s most inspiring thoughts and ideas, but the stories behind them: how they came to be written and what their impact has been on others. A storehouse of inspired and inspiring reading, it is a collection of brief, stimulating biographies as well. There are selections from John Burroughs, Alfred Tennyson, Robert Browning, Elizabeth Barrett Browning, Abraham Lincoln, Franklin D. Roosevelt, William Cullen Bryant, Ralph Waldo Emerson, William Shakespeare, Hippocrates, Confucius, and many others. A distillation of the greatest thoughts, ideas, and philosophies that have been handed down to us through the ages, this is a book to turn to over and over again—a book of moral, spiritual, and ethical guidance—an unfailing source of comfort and inspiration for all.